I remember in elementary school taking a twice daily walk from my school desk to the metal mechanical pencil sharpener by the classroom door. You’d have to adjust the outside to pick the hole slot that fit your pencil. Although most other school kids would give it a couple turns, there was never a reason to use any of them except the standard size slot. And every ten or so times we used it, we’d have to empty the pencil shavings in the trash. All these memories came rushing back when I found this KS-model Boston pencil sharpener at a nearby Goodwill. It has eight pencil hole slots and two holes at the bottom for screwing it into a wall or desk. I picked it up for $3 just to have one for a few weeks of nostalgia. Boston Pencil Sharpener Company was founded in 1899. In 1999 they celebrated with a 100th anniversary sharpener. In 1913, their sharpener– the Boston Pencil Pointer (which is pictured bellow), was selling for about $6. Before then, people were more accustomed expensive sharpeners or having to sharpen pencils by knife, which wasted the lead. 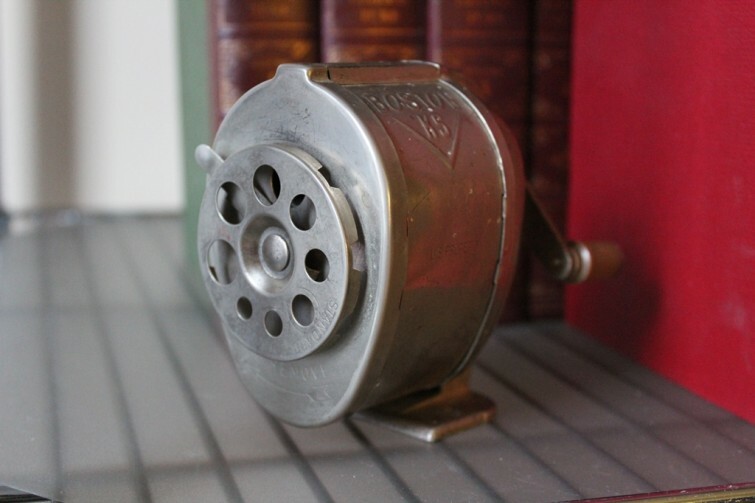 When I was a kid and for a while prior, almost every elementary school classroom in the U.S. had a sharpener, most of them a Boston KS like the one I found at Goodwill. Although by the time I was in middle school, in the 2000s, most kids were using mechanical pencils and most pencil sharpeners were electric, which were generally pretty disruptive. 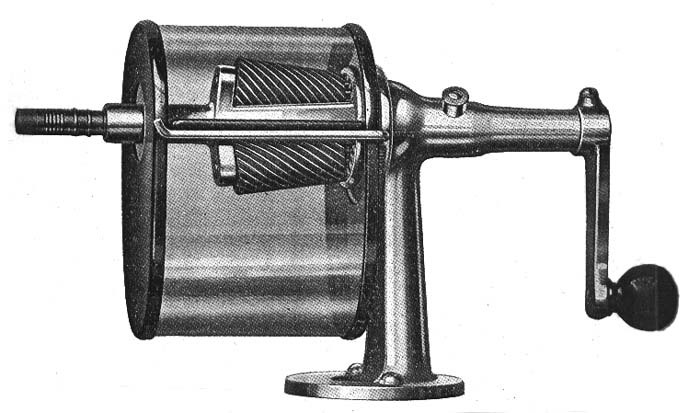 The company was later acquired by Hunt Manufacturing Company in 1925, and X-ACTO bought Hunt’s Boston sharpener line. Today if you want to get a relatively low priced, metal, hand-cranked planetary Boston style sharpener, X-ACTO still produce them in desk or vacuum mount. Although these X-ACTO branded sharpeners have their origins from the original Boston Pencil Sharpener Company, they are now made in China. And many historians have suggested that the X-ACTO mechanisms lack the same integrity and charm as the original Boston sharpeners. Since they’ve been discontinued, they’ve grown in interest among collectors of vintage gadgets. A week after buying it at Goodwill, I sold it on eBay for $20. However, many of them go for up to $50. For Christmas in 1948, I asked for a Boston pencil sharpener just like the one we had at school. It had eight holes for different sized pencils. Many years later, I wondered what happened to that pencil sharpener, and when I visited the old, abandoned farmhouse some years afterwards, I found it still screwed to a bookcase. The entire place had been stripped, even the kitchen sink was gone, but there stood my almost 70 year-old, rusted pencil sharpener. I unscrewed it, and brought it home where it resides in my sewing studio, and still sharpens pencils as good as new.